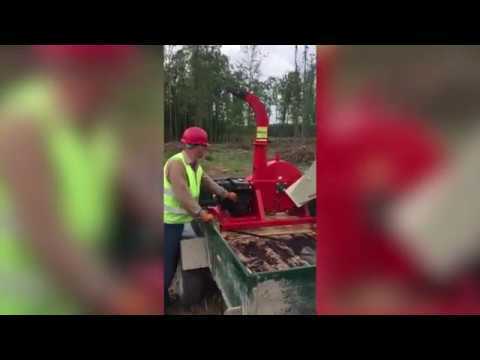 Wood shredder - a device that is designed to grind into the fuel or technological chips various woodworking waste (sawdust, pruning, humpback, etc.) and waste trees (branches, tops, stumps, crowns). Technological chips are used as raw materials for the production of various types of products. Fuel is used in the form of fuel through the combustion process. With further processing from wood chips, it is possible to produce fuel pellets. Chips can be used for smoking in various smokehouses. Consequently, the chipper often finds its application in the woodworking industry, utilities for the utilization of trees, sawmills. So to say the shredder will become an assistant in any farm, where you need to crush the chips. Cut raw materials into small pieces. Processing of wood waste into splinter of almost identical size. Facilitation of the utilization process after the tree trimming. It may be repaired easily and it is reliable. When buying wood shredder, the main parameters that will determine when choosing a particular device will be: splinter size, ease of maintenance, safety, performance level. If a wood crusher is needed as a fuel for a home, then the performance does not matter, because the mechanism works periodically, not permanently. 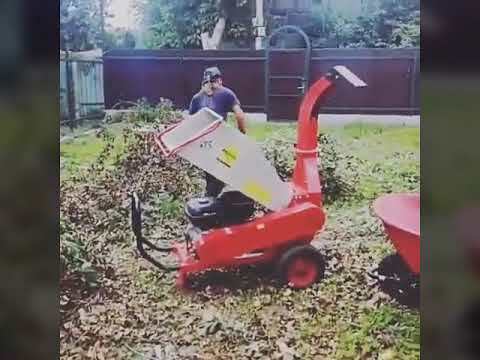 The cost of the wood shredders depends on the type of its engine, power, as well as other important indicators of the unit. 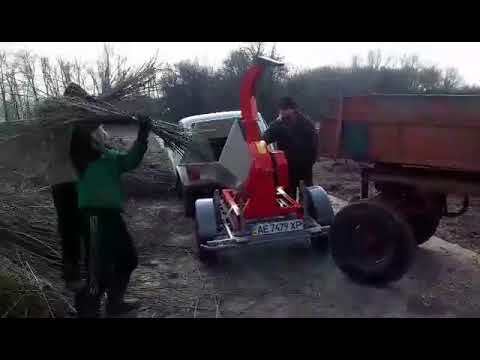 Wood shredder can be with a different type of drive. Wood shredders can be equipped with gasoline and electric drives, as well as driven from the tractor's PTO shaft. 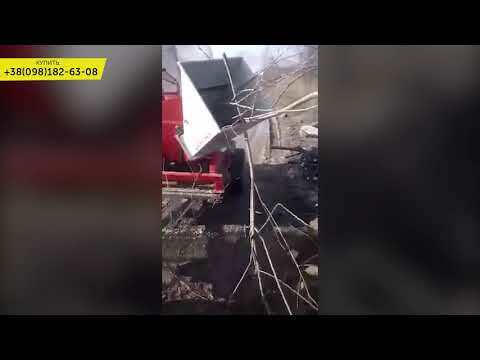 Tractor wood shredder works from tractor PTO. Such shredders are used for processing of various debris and wood processing. Mostly, the tractor chopper is used in forestry and agriculture. In order to choose the type of wood chipper you should start from the basic parameters of the tractor. These include - engine power and shaft speed, the amount of chips. Important is also the weight of the working parts of the wood shredder. 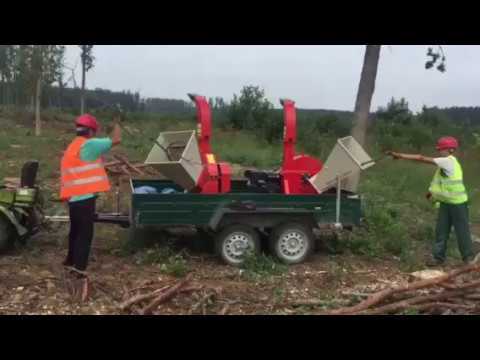 The wood shredder can be of hinged and not hinged types. In hinged as a shredder, drums or hammers are used. To put it more simply, the chipper can be used both on the ground and on a tractor overhang. 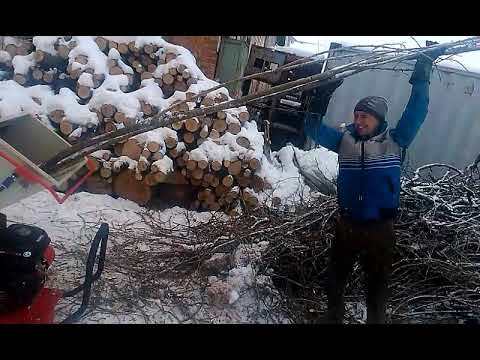 In those places where there is no electricity, the ideal option for processing wood will be a gasoline chipper. Such aggregate very often finds its application in the field, vineyards and gardens of large sizes. Gasoline wood shredders are universal in use. They can be used both for the processing of dry material and for working with fresh wood waste. Electric wood shredders mainly used in communal areas. The main advantages of such shredders are environmental safety and low noise level. This does not interfere with the tenants of houses during the work. The resulting splinter after wood processing can be used to fill the tracks. A practical and useful electric chopper has a special cutting system that grinds grass or other materials. In such wood shredder there is also a knife for getting splinter. Electric shredders have a special emergency switch, which works during power outages. 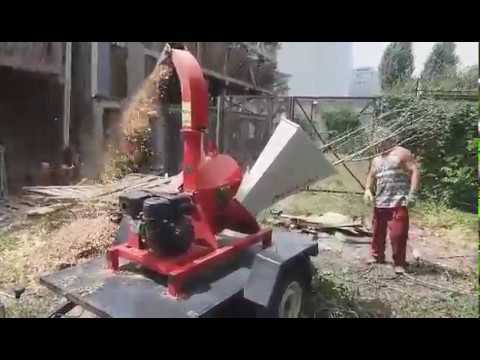 For enterprises that deal with the processing of trees and for gardeners, we recommend buying a wood chopper. To maintain a garden in excellent condition will become much easier, thanks to the use of a wood chopper. A distinctive feature of the choppers is a democratic price. At the same time, every owner can estimate the time savings. From us you can order any kind of aggregates for chopping wood of high quality. Wood shredders pass through the whole process of production in our company. We control every stage of production. You can order the choppers at us at the most optimal cost and get a reliable product.